As many as 40% of physicians marry other doctors. Meet the first married medical school deans in the country along with other physician couples. Shikha Jain, a physician’s daughter, had planned on avoiding marrying a doctor. Given her own plans to pursue a medical career, she wanted to find a mate in a profession with more flexibility. Then, on her first day of medical school orientation at Michigan State University, she met her future husband. Today, Jain, 36, a hematology-oncology physician at Northwestern Memorial Hospital in Chicago, Ill., and her husband of nearly six years, Shakthi Dharan Kumar, 34, a gastroenterologist, are both MDs and raising a toddler together. Several months ago, she founded a private Facebook group, already 2,500 members strong, for physician couples to discuss their unique circumstances. Drs. Paul and Mary Klotman share their love story of how they met and the early years of their marriage. Physician couples’ mutual passion for medicine and their high family incomes and demanding schedules can produce distinct advantages and challenges. For Jain, good marital communication and outside support have been key in making her marriage work. “We are very fortunate in that we have a very supportive family,” plus date-night childcare and a backup, on-call babysitter. “The biggest thing we do is share a Google calendar,” said Jain. Medical marriages, like others, can crumble when the stress is on, however. The pressures of physician couples can be unique. Both spouses may be struggling with medical school debt or burnout from demanding professional responsibilities. Michael Coords, MD, now a clinical fellow in musculoskeletal radiology at the University of California, San Francisco, School of Medicine, married in 2010, about a month before he and his then wife started their residencies. Coords soon was working 100-hour weeks. The marriage ended after three years, Coords said. “It’s hard to grow together when you are never together,” he said, suggesting that young physicians consider delaying marriage until they have time to enjoy life with each other. 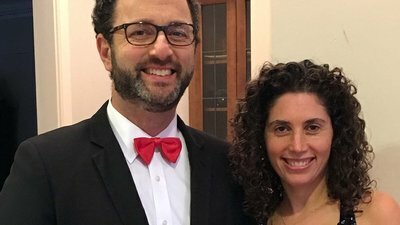 “I 100% believe [physician marriages] can be successful,” said Rachel Perlman, MD, associate professor of internal medicine and associate director of the University of Michigan Medical School’s internal medicine residency program. Perlman led a study in which researchers interviewed 10 people from two-doctor couples and 15 from one-physician partnerships. The study, published in Academic Medicine in 2015, found that the married physicians developed strategies to navigate the difficult aspects of their lives. Two-physician couples with children often worked things out by “taking turns” and making decisions based on a “hierarchy of patient care,” with one partner staying home if the other had patients in greater need, the interviews revealed. Careful scheduling and relying on the help of family, friends, babysitters, or nannies enabled these couples to eliminate insecurity over childcare, Perlman added. Similarly, couples without children may adjust their schedules by taking turns making dinner or accommodating one spouse’s volunteer or extended family commitments. That has been the experience of Sarah-Anne Henning Schumann, MD, MPH, medical director of Community Health Connection and formerly on the faculty of University of Oklahoma Health Sciences Center. “It’s been great to have somebody who I can discuss clinical issues with … who understands what it’s like when you have a really sick patient.” She and husband John Henning Schumann, MD, president of the University of Oklahoma–Tulsa, have been married 18 years. “Having someone in the trenches with you” has been “a great strength of our marriage,” echoed John Schumann. In her study, Perlman found that the two-physician families faced more of a juggling act than the one-physician families, but they generally succeeded anyway. That’s been the experience of Victoria Handa, MD, chair of the Department of Gynecology and Obstetrics at Johns Hopkins Bayview Medical Center. 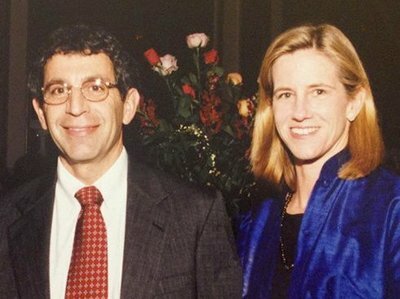 She met her husband, James T. Handa, MD, a Johns Hopkins ophthalmology professor, in 1982, while both attended medical school at the University of Pennsylvania. Drs. Paul and Mary Klotman share sound advice for navigating the challenges of being a dean and how to stay married to one. While dating, they took residencies on opposite coasts. But a decade after meeting, the pair married and made sacrifices to be together. Handa delayed her fellowship because there wasn’t a location where both could pursue their fellowships. Over the years, the couple continued to juggle the challenges of work and family while enjoying their marriage. Handa cited their inherent understanding of job demands, like patient emergencies. Earlier in their careers, they read each other’s research papers. “That was very beneficial to have that kind of support and help,” she said. While raising two children who are now college age, the Handas never scheduled surgery for the same day. They chose day care over a nanny to force themselves to get home for dinner. And there were days when one or both had to cancel patient appointments because of a sick child. Drs. Paul and Mary Klotman are the first married couple to serve as medical school deans. Today, Handa’s department aims to help physicians with young children balance work and family life. “We try to accommodate those as much as we can because otherwise people wouldn’t be able to be in that role,” she said. The same issue can come up with physician couples caring for elderly parents or siblings.